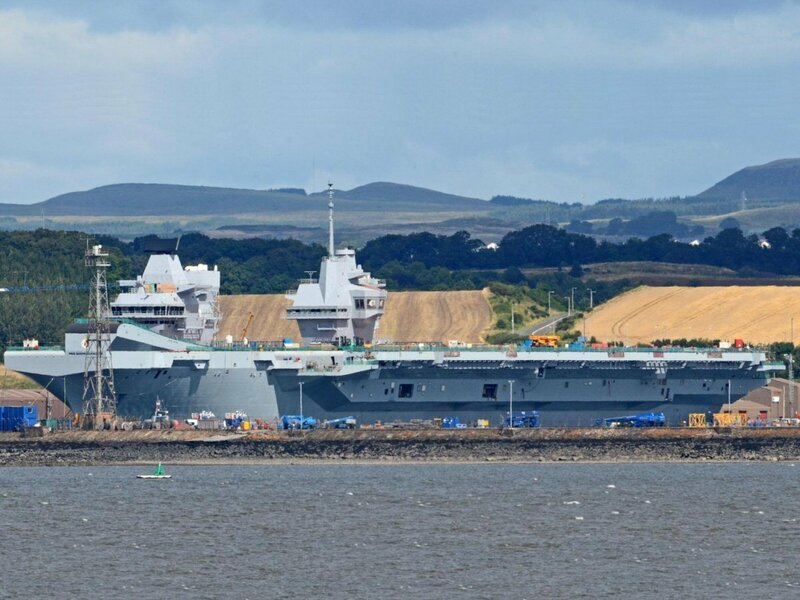 The UK is building two, large, fixed wing carriers, the Queen Elizabeth and the Prince of Wales. 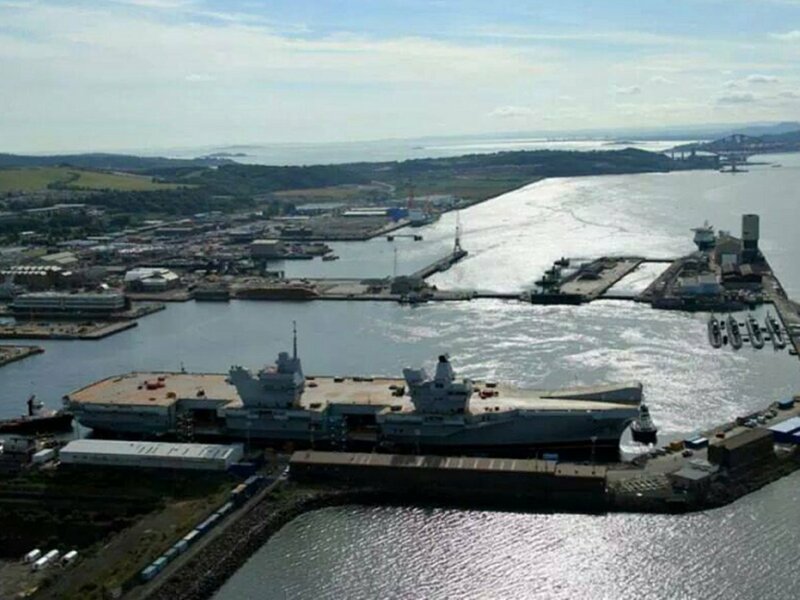 1st steel for the HMS Queen Elizabeth was cut on July 7, 2009 at at the BVT Surface Fleet shipyard in Govan, Glasgow, Scotland. 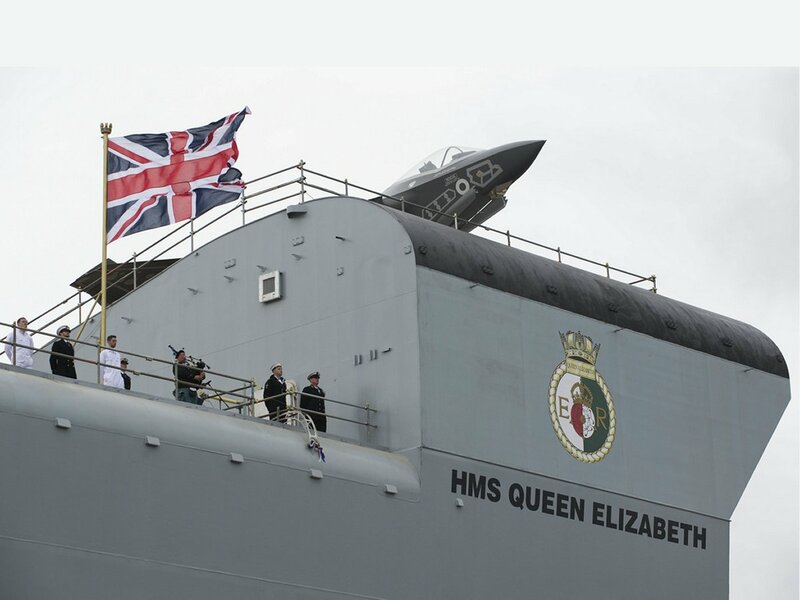 HMS Queen Elzabeth, R08, was Christened on July 4th 2014, and launched on July 17, 2014. she is currently outfitting. 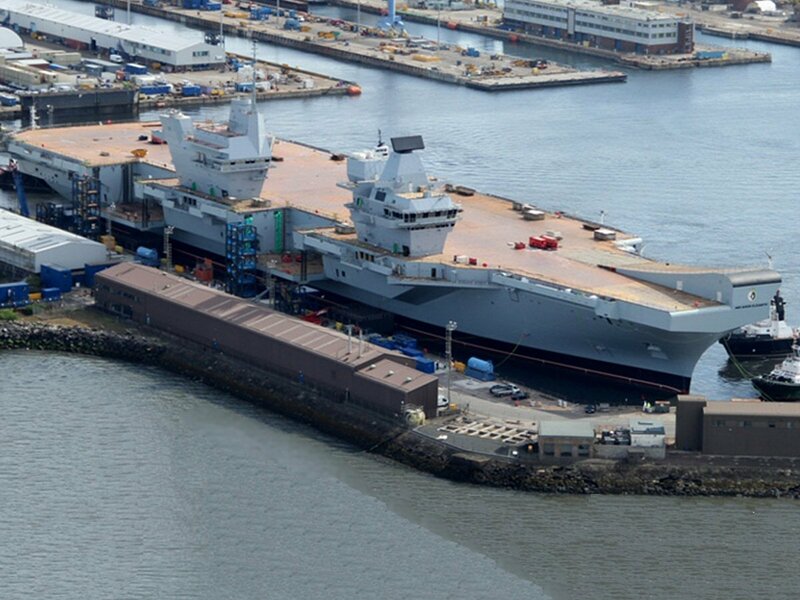 The second carrier, HMS Prince of Wales, had first steel cut in July 2011. Three large sections of her have already ben joined in her dock. 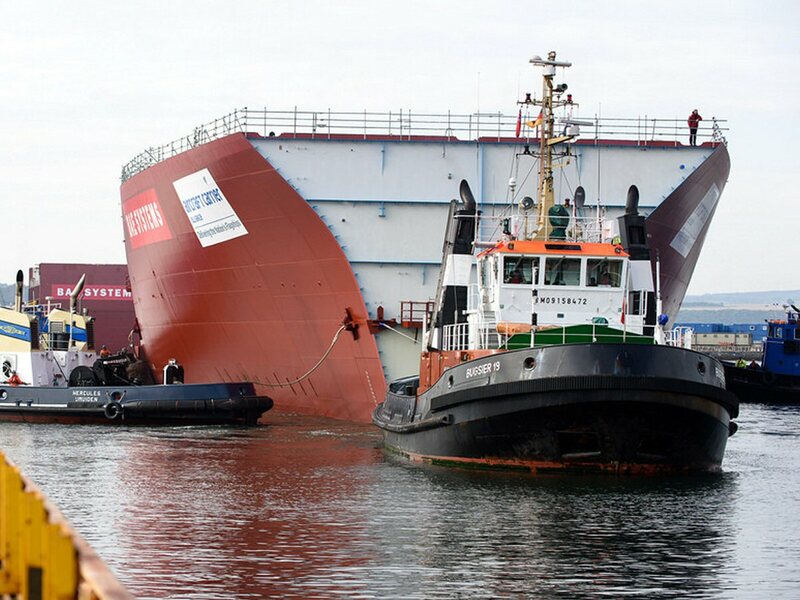 She will be launched in 2016. These will be large, fixed-wing, STOBAR (Short Take off Barrier Assisted Recovery) carriers with a large deck and a ski jump. 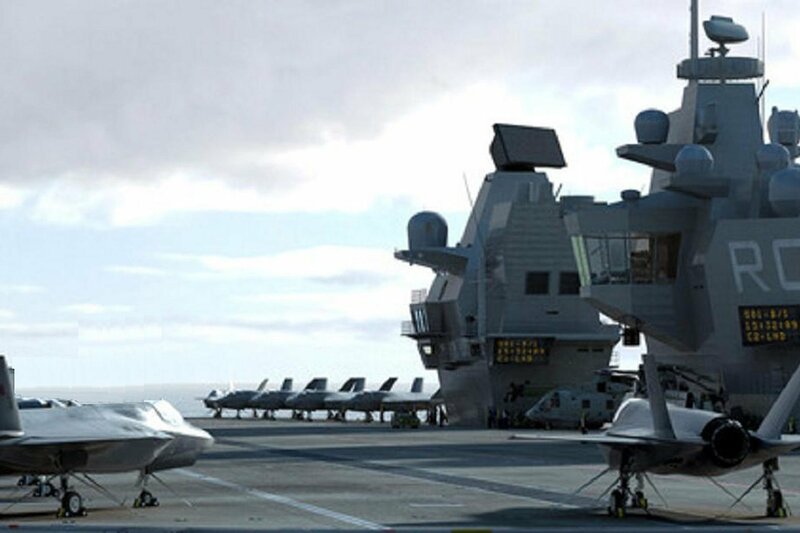 In the UKs 2010 Defence review, the decision was made to revert from the F-35B VSTOL strike fighter aircraft to the F-35C convetnional strike fighter aircraft to produce a CATOBAR carrier, but then a year later, that decision was reversed and the program reverted back to the F-35B STOVL aircraft for STOBAR operations. All of this necessitated significant change both as a result of the initial decision and as a result of the reversal which has resulted in a protracted construction and planned trials schedule. The US delivered the first UK test F-35B aircraft to great Britian in July of 2012, and the second soon followed. 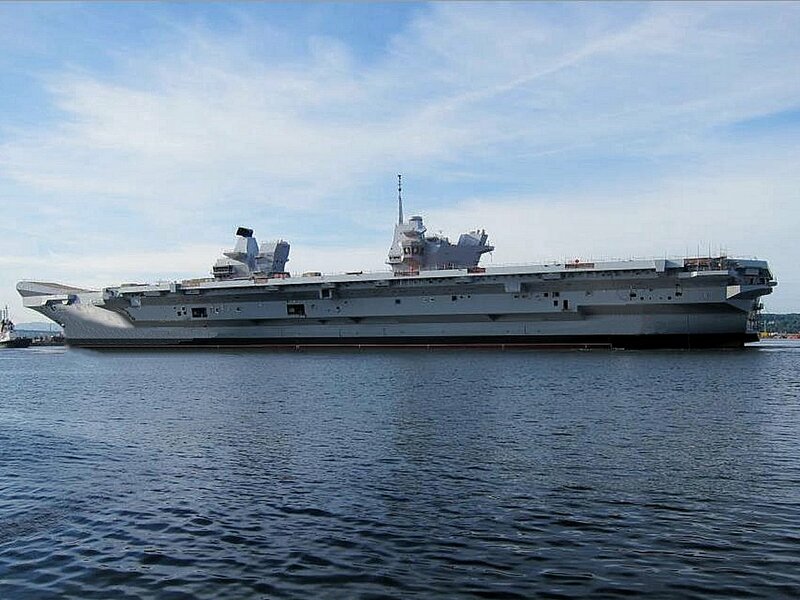 The first in Class, the Queen Elizabeth will be commissioned in 2016 with no in service aircraft available. 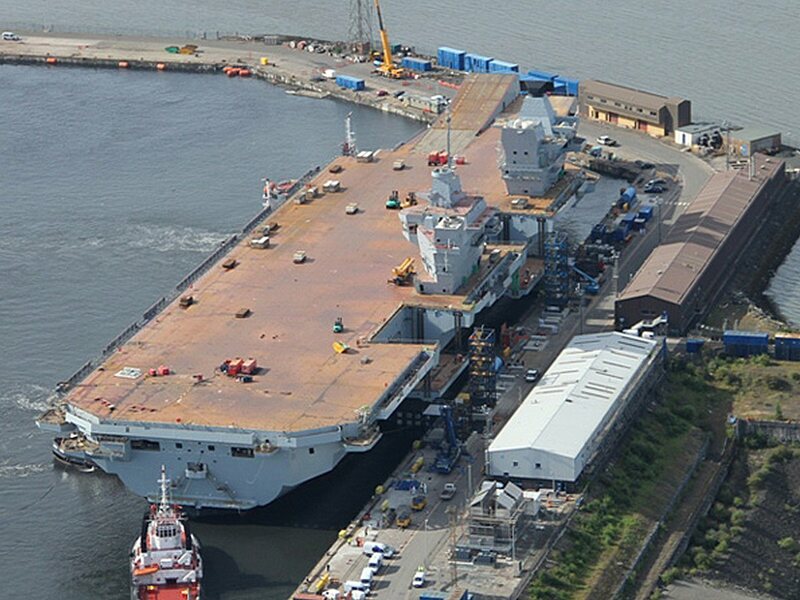 For several years she will be used as a large amphibious assault and helo carrier. 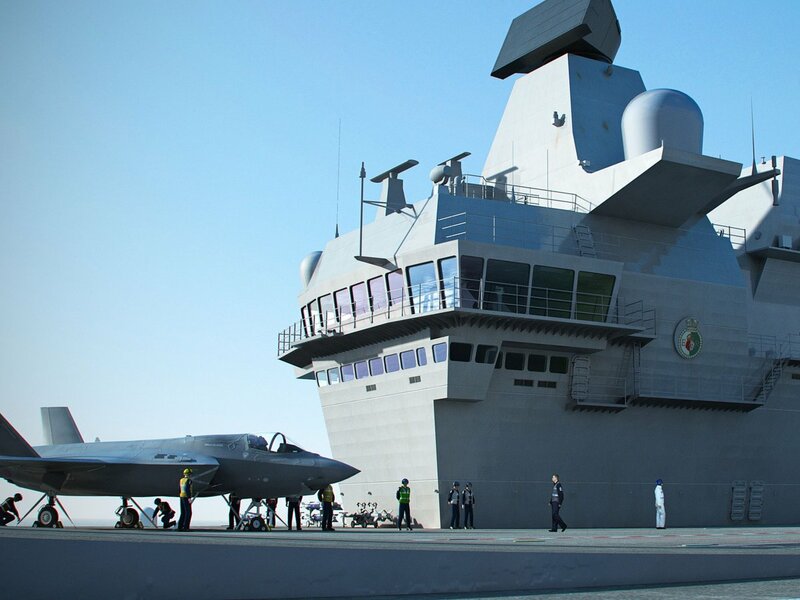 The Prince of Wales will be commissioned in 2018 and will receive her full squadron of F-35Bs in 2019-2020. 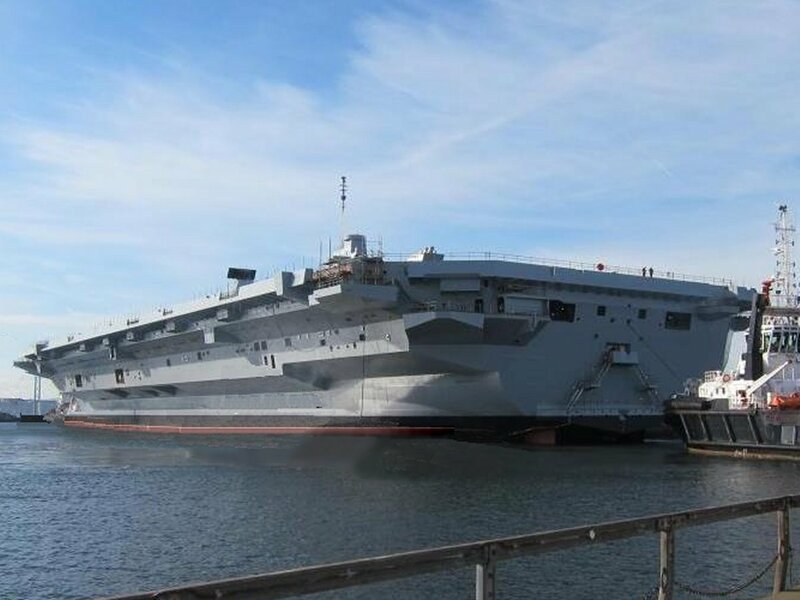 At that point the Queen Elizabeth will enter refit and she will come out in 2022-2023, receive her aircraft, and then the UK will have both of her two large, STOBAR aircraft carriers. This leaves a gap between 2011 and 2019-2020 with no available aircraft carrier. With the HMS Illustrious having now been retired, and with the UK government deciding to reitre all of the Harriers in 2010 (which were then sold to the United States Marine Corps to be used for parts for their Harrier II fleet) there is no fixed wing naval air arm for the Royal Navy and will not be until the first Joint Strike Fighter F-36Bs are delivered to the UK for operational use n 2019. 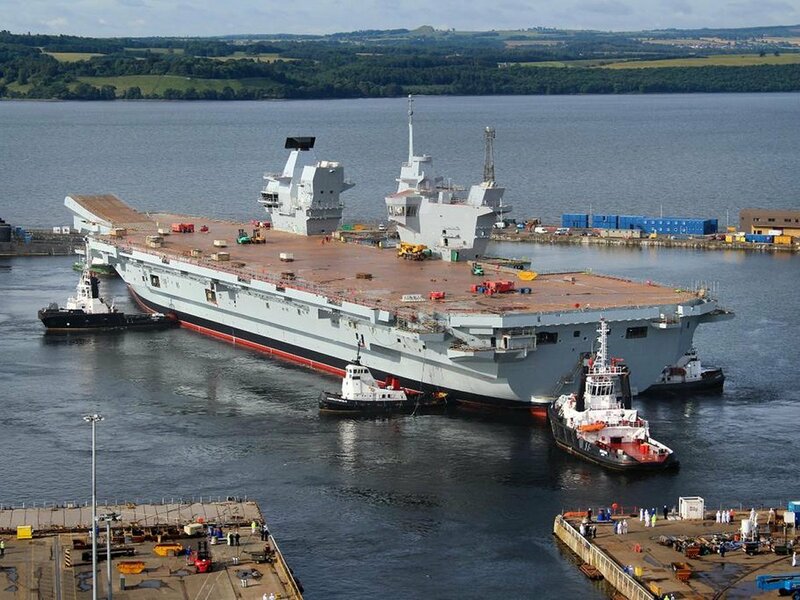 Initial tests will occur before that in the 2017 time frame aboard the Queen Elizabeth. Once the Prince of Walers is commissioned with her airwing of F-35B VTOL aircraft, that situation will be resolved. 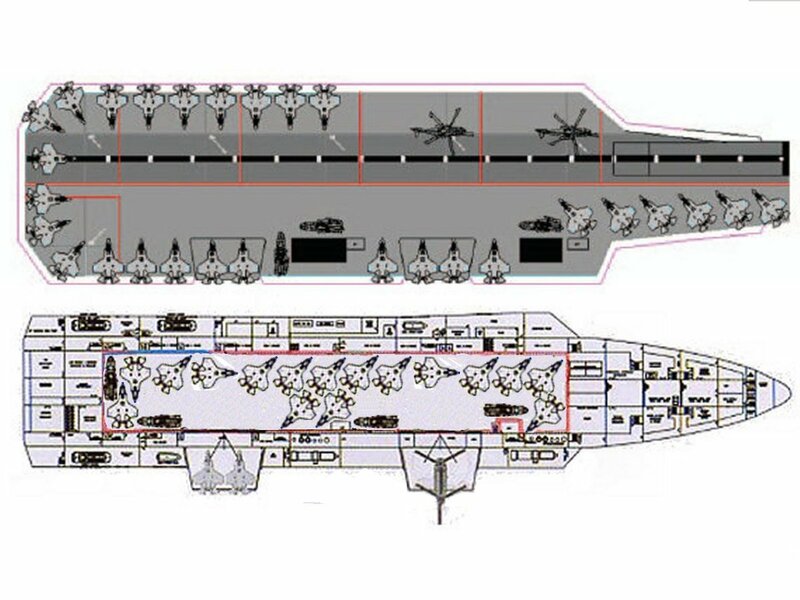 The 22,000 ton Invincible class carriers were designed for Cold War anti-submarine warfare as part of combined NATO fleet operations and were too small to carry a very large STOVL wing of aircraft. However, the 1982 Falklands War demonstrated the need for the UK to maintain aircraft carriers to support its own foreign policy apart from NATO. Since that time the Invincible class ships have operated in a more traditional aircraft carrier role of power projection. As a result the Royal Air Force's Harrier GR7s have been routinely deployed on the carriers which were modified to carry more aircraft and ammunition. Despite the shortcomings of the Invincible class in this role, it wasn't until 1994 that official studies into the replacement of the ships began. 1 - The ability to operate offensive aircraft abroad when foreign basing were either not available or had been denied. 2 - Immediate access to the battle space, where traditional air force basing would require significant logistics and time. 3 - More effect amd efficient deterent when deployed to a trouble spot. This 1988 SDR concluded: that "the emphasis is now on increased offensive air power, and an ability to operate the largest possible range of aircraft in the widest possible range of roles. 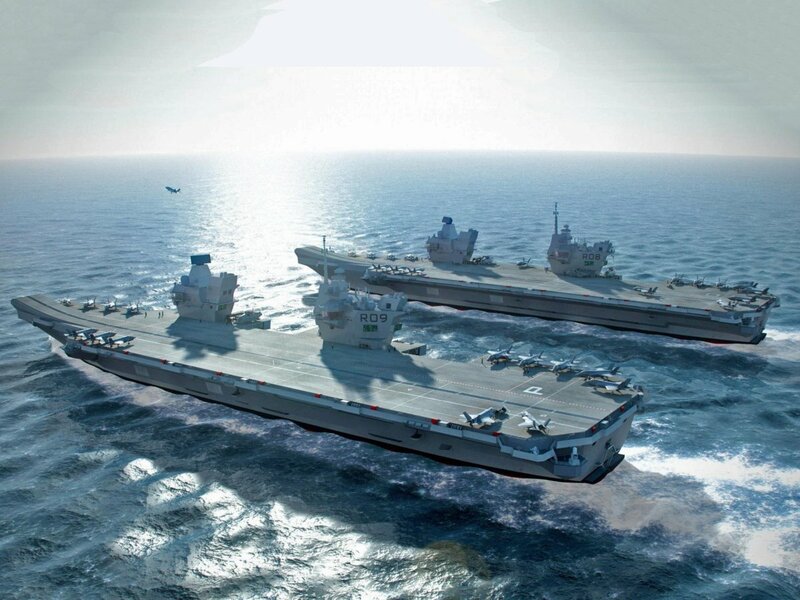 When the current carrier force reaches the end of its planned life, we plan to replace it with two larger vessels. 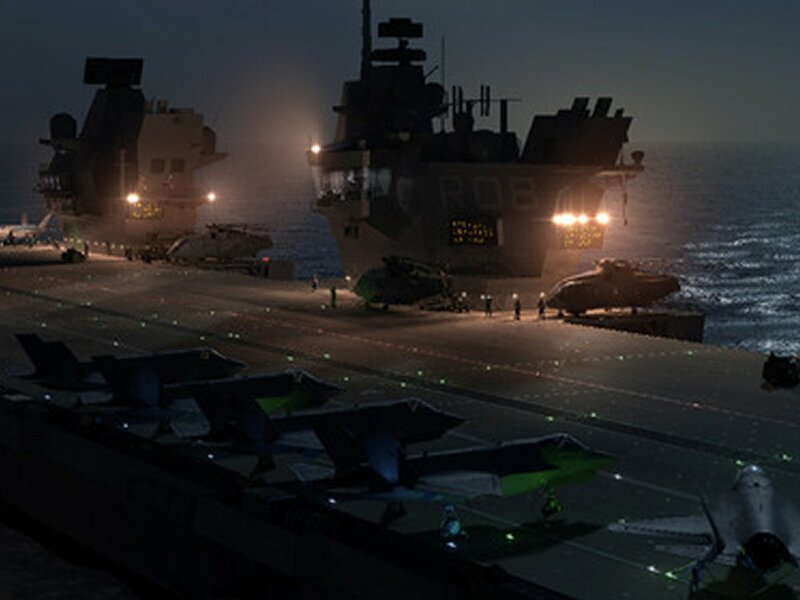 Work will now begin to refine our requirements but present thinking suggests that they might be of the order of 30,000�,000 tonnes and capable of deploying up to 50 aircraft, including helicopters." In January 2001 the UK signed a Memorandum of Understanding with the U.S. Department of Defense for full participation in the Joint Strike Fighter programme, confirming the JSF as the FJCA. This gave the UK input into aircraft design and selection between the Lockheed X-35 and Boeing X-32. In October 2001 the US Department of Defense announced that Lockheed Martin had won the JSF contract. 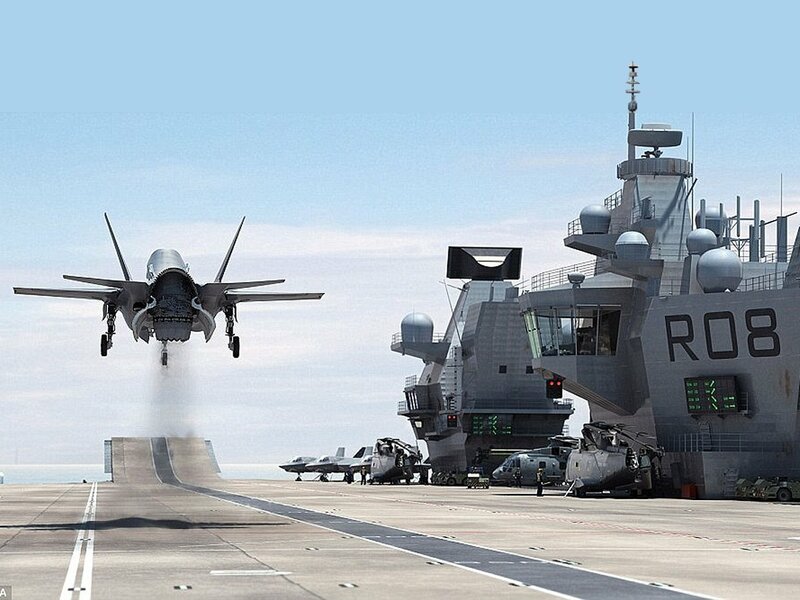 In September 2002 it was announced that the Royal Navy would operate the STOVL F-35B variant. 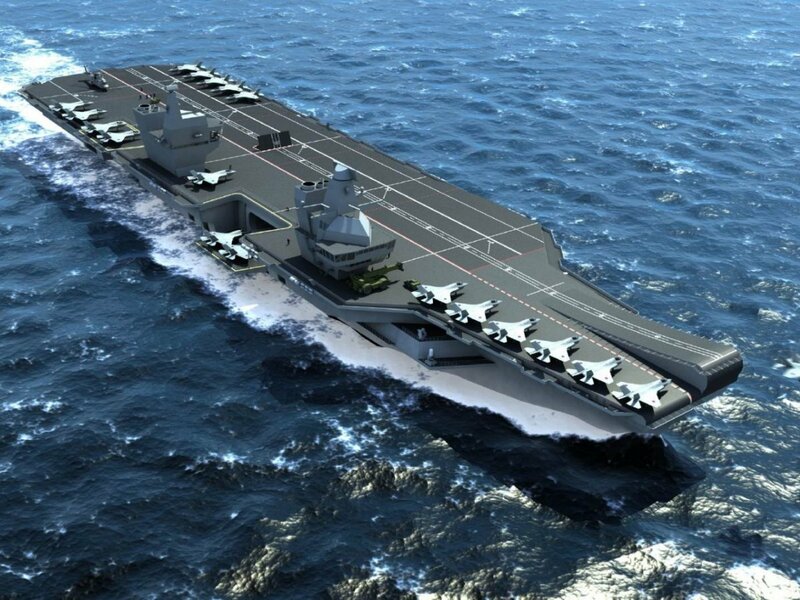 It was also announced that the carriers would be large, conventional carriers, initially adapted for STOVL operations. At the same time, the carriers would be designed for, but not with catapults and arrestor wires. 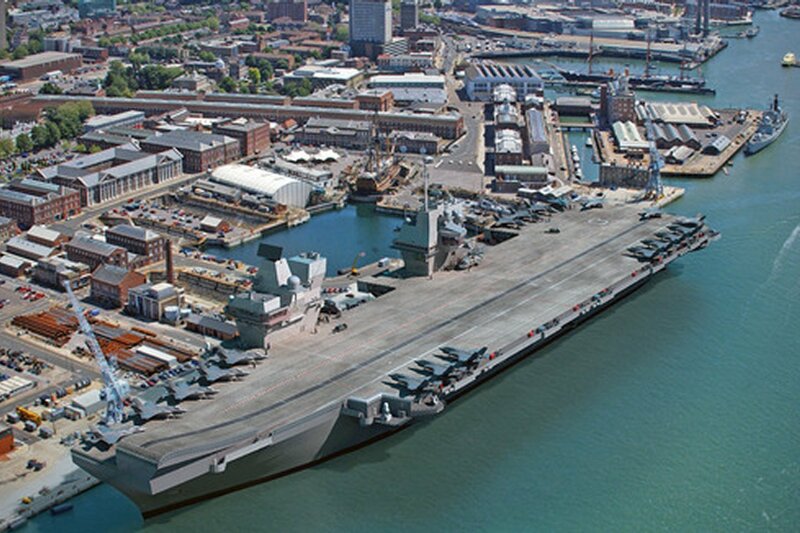 This made the carriers "future proof", allowing them to operate CATOBAR aircraft later if required. 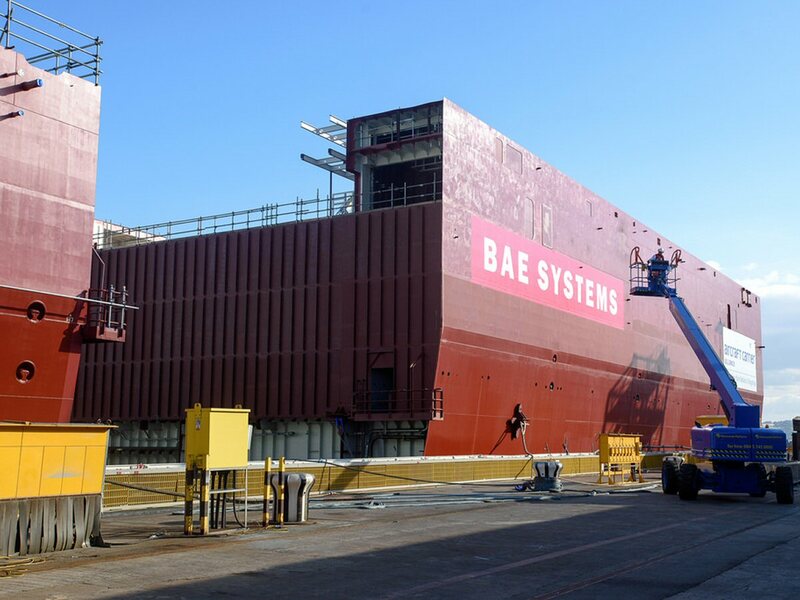 In January 2003 the UK Defence Secretary announced that the Thales Group design had won the competition but that BAE Systems would operate as prime contractor. 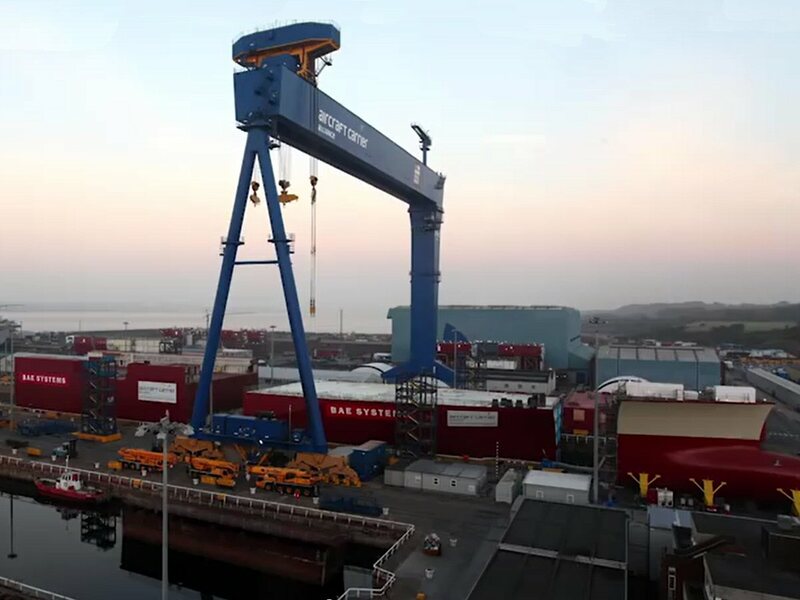 In March 2008 Contracts for 80,000 tonnes of steel were awarded for the vessels, with an estimated value of � million with �million worth of contracts for other equipment to be used in the ships. In April 2008 contracts for the lifts, or elevators for the ships were awarded. In October 2008, contracts for the gas turbines for the gas turbines and other power and propulsion portions of the vessels were awarded. In the 2009-2010 time frame, the F-35B VSTOL version fo the J-35 experienced significant delays. This led to the 2011 decision when it was announced that the J-35C, conventional/carrier varient of the aircraft would be used and the carriers built to the CATOBAR standard (Catapault assisted take-off, Barrier assisted Recovery). but, as stated, ayear later, as the schedule for the J-35B stabilized, the British government reversed itself and moved back to the STOBAR design with the J-35B. 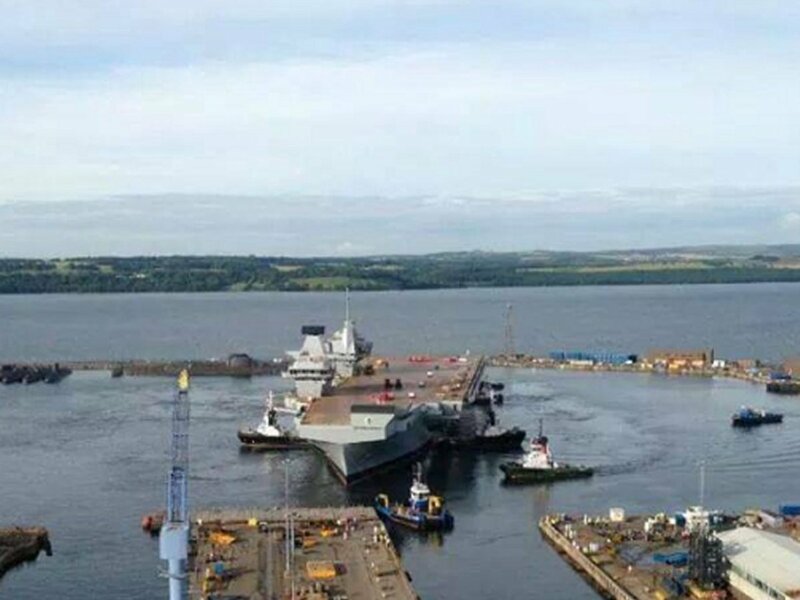 In the mean time, large sections of the carrier were being brought together from all over England. The Forward Island was lifted onto the carrier on March 14, 2013. This was followed by the aft Island on June 28, 2013. 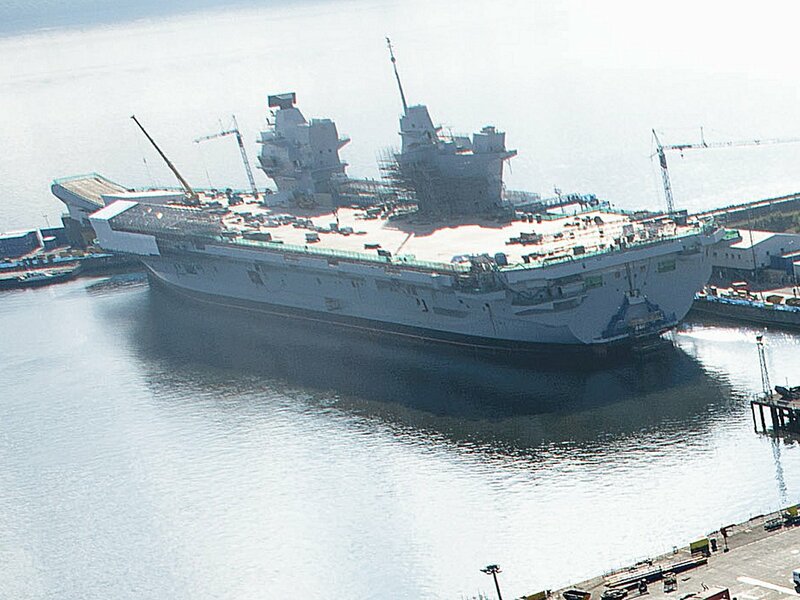 Her final two sponsons, on the aft end of the flight deck, were lifted into place in October of 2013. 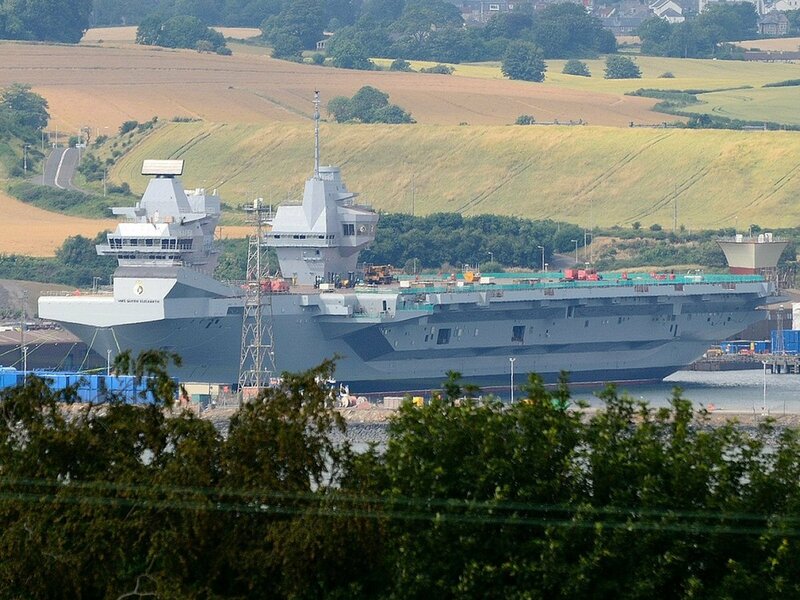 As indciated earlier, the carrier is expected to be launched in early 2014. 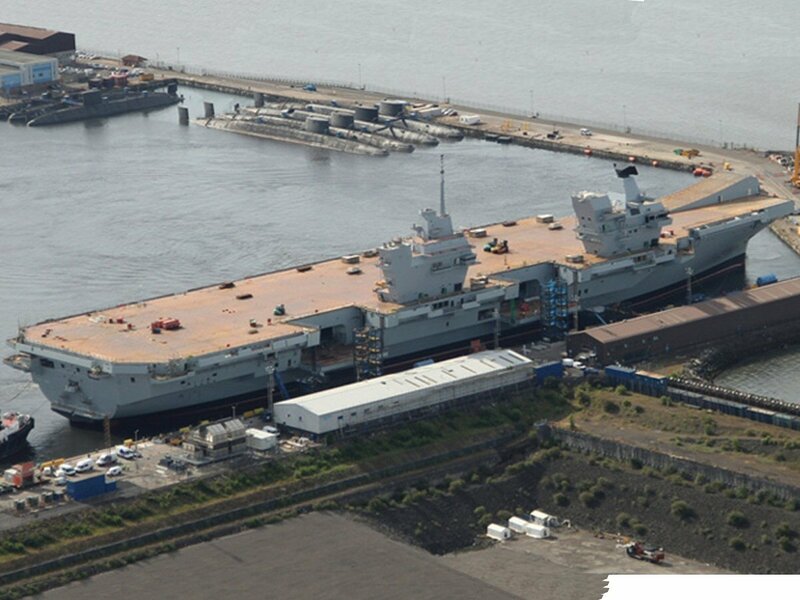 Commissioning of the Queen Elizabeth is slated for 2016, followed by the Prince of Wales in 2018. The carrier's crew will number 1,600 including the air wing. Full load displacement will be 65,000 tons. Length will be 280 meters (920 ft), width will be 70 meters (230 ft), draught will be 11 meters (36 ft). The vessels will have a range of 10,000 nautical miles (12,000 mi; 19,000 km). On the flight deck, the equivalent in size of three football fields, there will two islands instead of a traditional single island. The forward island is for navigation of the ship, while the aft island is for controlling flight operations. There are nine decks located below the flight deck. The hangar deck measures 155 by 33.5 meters (509 by 109.9 ft) with a height of 6.7 to 10 metres (22 to 33 ft), large enough to accommodate up to twenty fixed and rotary wing aircraft. 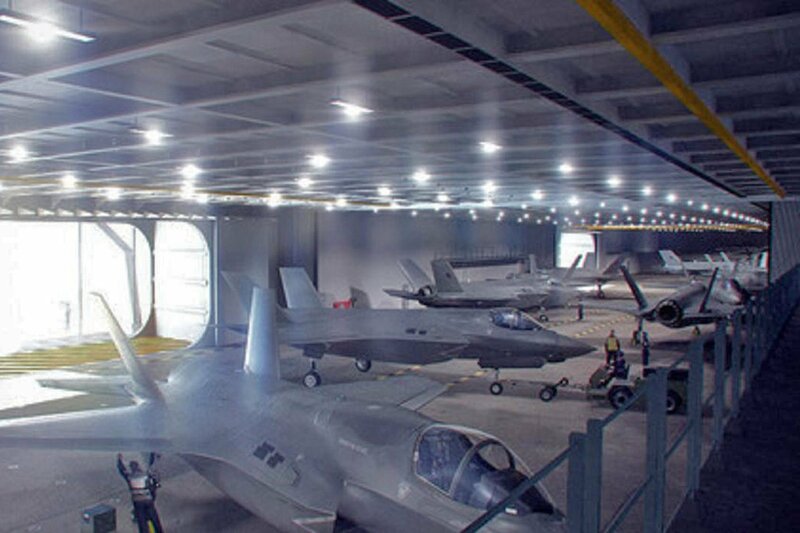 To transfer aircraft from the hangar to the flight deck, the ships will have two large lifts, each of which are capable of lifting two F-35 sized aircraft from the hangar to the flight deck in sixty seconds. The ships' only self-defense weapons are four Phalanx CIWS for point anti-aircraft and anti-missile defense, and four 30 mm auto cannons for surface threats. Power is supplied by two Rolls-Royce Marine Trent MT30 36 MW (48,000 hp) gas turbine generators and four W鋜tsil� diesel generator sets (two 9 MW (12,000 hp) and two 11 MW (15,000 hp) sets), giving a top speed of 25+ knots (46 km/h). The Trents and diesels are the largest ever supplied to the Royal Navy, and together they feed the low-voltage electrical systems as well as the the two tandem electric propulsion motors that drive the twin fixed-pitch propellers. 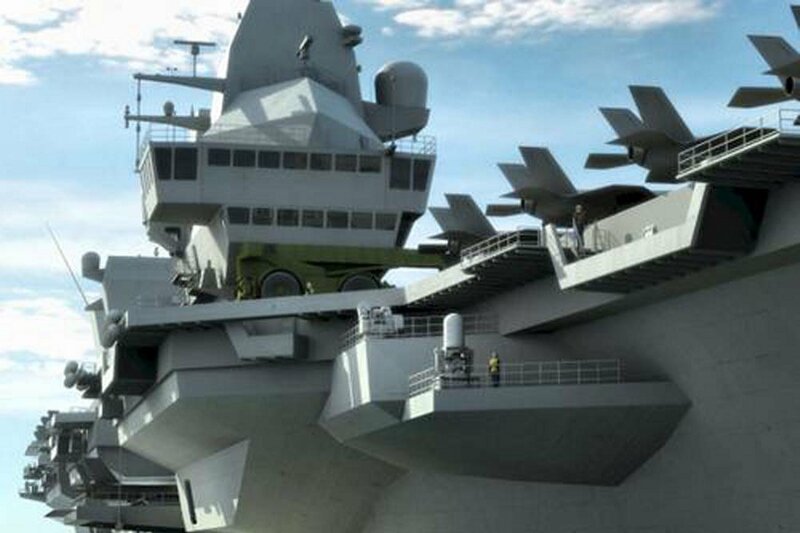 The carrier's radars will be the BAE Systems S1850M, the same as fitted to the Type 45 destroyers, for long range wide area search, and the BAE Systems Artisan 3D maritime medium-range radar and a navigation radar. The S1850M has a fully automatic detection and track initiation that can track up to 1,000 air targets at a range of 400 kilometres (250 mi). Artisan can "track a target the size of a soft ball moving at Mach 2 at very low levels over 35 kilometres (20 mi) away". 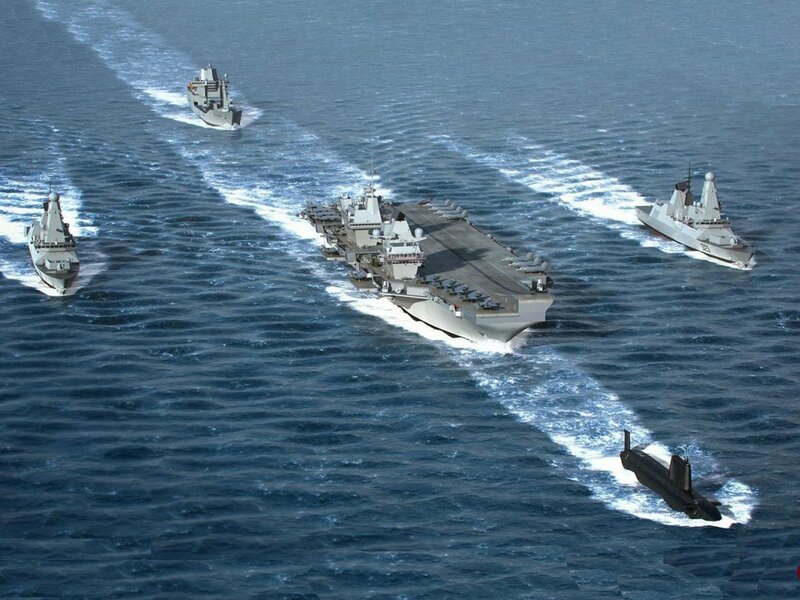 This same system will also be fitted to Type 23 frigates, the assault ships HMS Albion, HMS Bulwark and HMS Ocean.) 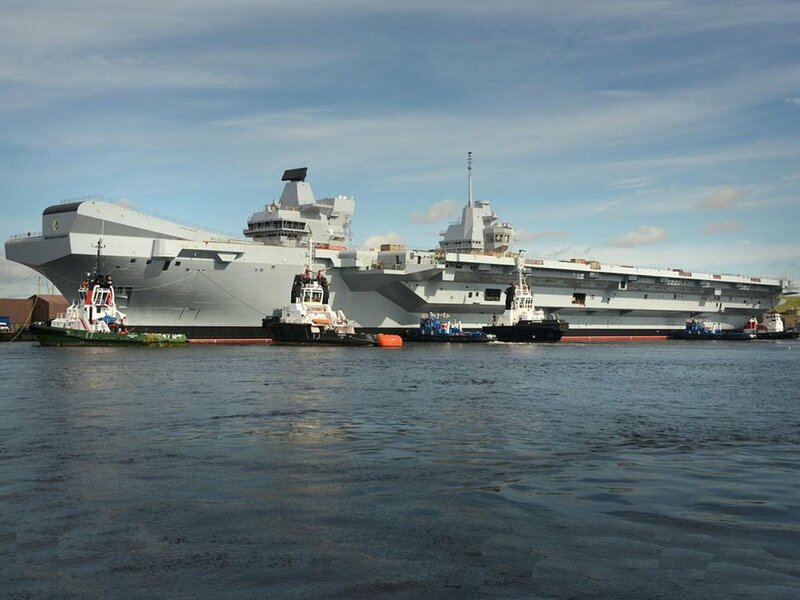 The carriers will also be fitted with the Ultra Electronics Series 2500 Electro Optical System (EOS) and Glide Path Camera (GPC). Munitions and ammunition handling is accomplished using a highly mechanised weapons handling system (HMWHS). This is a first naval application of a common land based warehouse system. The HMWHS moves palletised munitions from the magazines and weapon preparation areas, along track ways and via several lifts, forward and aft or port and starboard. The tracks can carry a pallet to magazines, the hangar, weapons preparation areas, and the flight deck. In a change from normal procedures the magazines are unmanned, the movement of pallets is controlled from a central location, and manpower is only required when munitions are being initially stored or prepared for use. This system speeds up delivery, and reduces the size of the crew through automation, though a concer in battle regarding handling during battle damage remain. Crew facilities will include a cinema, physical fitness areas and four galleys manned by sixty-seven personnel for catering. There are four large dining areas, the largest with the capacity to serve 960 meals in one hour. There are eleven medical staff for the eight bed medical facility, which includes an operating room and dental surgery rooms. With the retirement of the Harrier GR7/9 in 2010, there are no carrier-capable fixed-wing aircraft available in the Royal Navy or Royal Air Force. Their replacement will be the Lockheed Martin F-35B STOVL Lightning II. The aircraft will be flown by pilots from the Fleet Air Arm and the Royal Air Force. 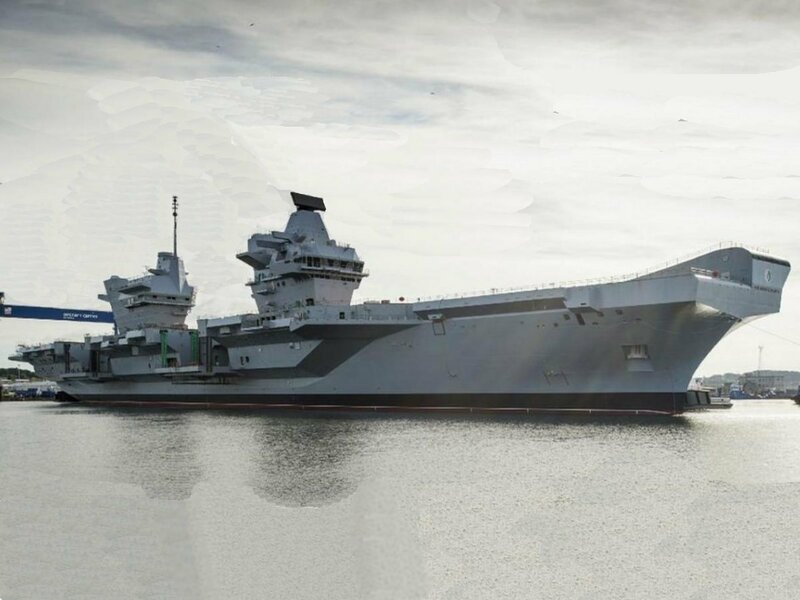 The aircraft are expected to begin trials flying from the Queen Elizabeth in 2018 with a carrier air wing fully operational by 2020. These aircraft are stealthy, capable of supersonic speeds, and can carry out all mission types from strike at sea, to close air support, to fleet air defense. 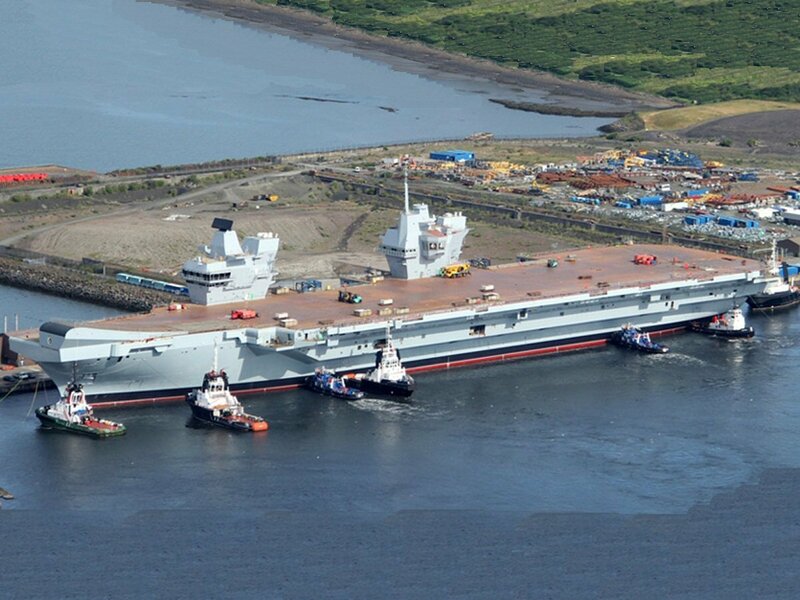 It is anticpated that the airwing of the Queen Elizabeth carriers will accomodate between 24 and 30 of these aircraft, though the ships are capable of carry a total of 40. It is powered by three Rolls-Royce Turbomeca RTM322 engines, their range and endurance using only a two engine cruise option, is 750 nautical miles (1,390 km; 860 mi), or six hours. However, range can be extended further when the five underfloor fuel tanks are supplemented with auxiliary fuel tanks fitted in the cabin. 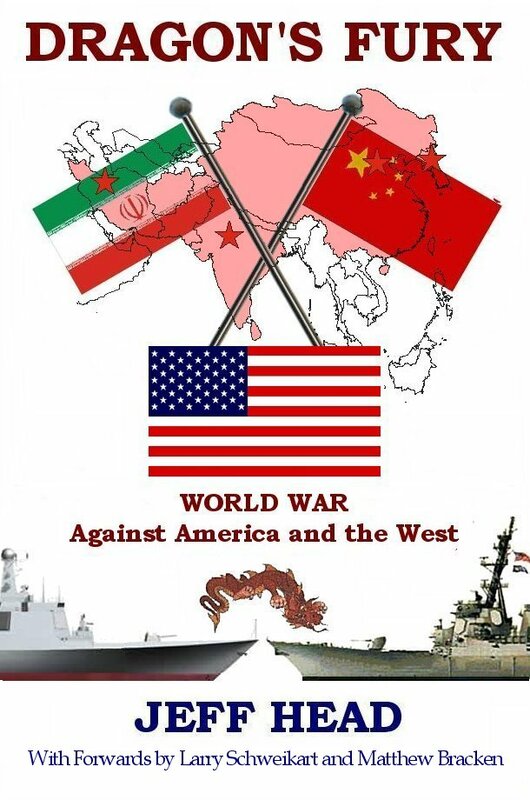 Armament depends on mission, but includes torpedoes, anti-ship missiles (ultimately), three door mounted machine guns, multi-purpose rocket, cannon pods, air to air missiles and air to surface missiles. The AgustaWestland Lynx Wildcat, is scheduled to enter service with the Royal Navy in 2015. It will have room for seven passengers and a top speed of 187 mph. It will be armed with forward firing CRV7 rockets and machine guns, pintle mounted machine gun (e.g. FN MAG or Browning M2), air-to-surface missile system (Thales Lightweight Multi-Role Missile), Hellfire missiles (planned), and torpedoes and depth charges. It has a maximum range of 520 nautical miles (960 km; 600 mi) and an endurance of four and a half hours. Either or both of these helicopters will be utilized by the Queen Elizabeth carriers for the anti-submarine and Search and Rescue roles. 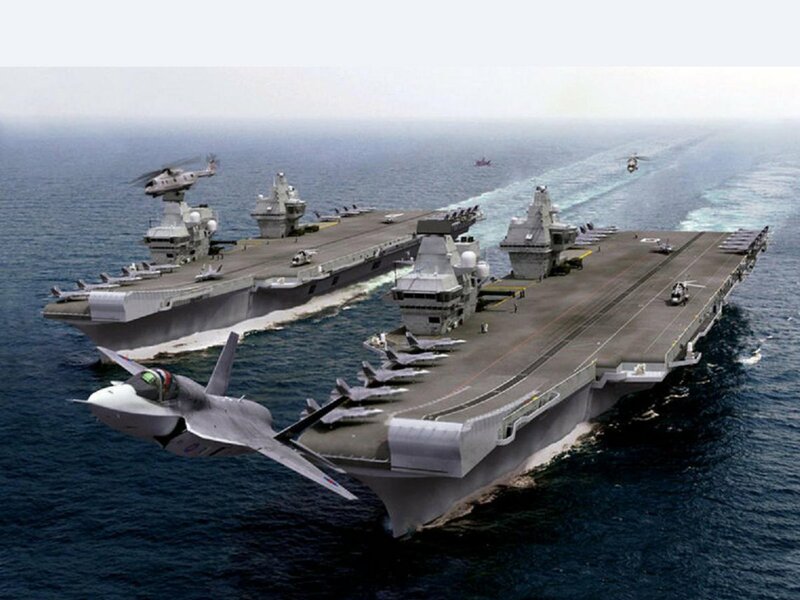 The carriers will carry between four and six of these aircraft. Currently the Royal Navy depends on the Sea King ASaC Mk7 helicopter for AEW missions off of the Illustrious (which served all former Invincible class carriers) and the HMS Ocean. This aircraft is scheduled to undergo mission upgrades to improve its range and electronic capabilities to extend its service date through 2022. This will be the initial AEW aircraft for the carriers and they will carry a wing of 3-4 of them. In September 2005, the MASC assessment phase for an AEW aircraft to succeed the Sea King ASaC Mk7 helicopter began. By May 2006, three study contracts were awarded for MASC platform and mission systems options: one to Lockheed Martin UK for a Merlin helicopter fitted with AEW mission systems, another to AgustaWestland who, with Thales UK, will put together the upgrade package for the present Sea King ASaC7 to 2017. 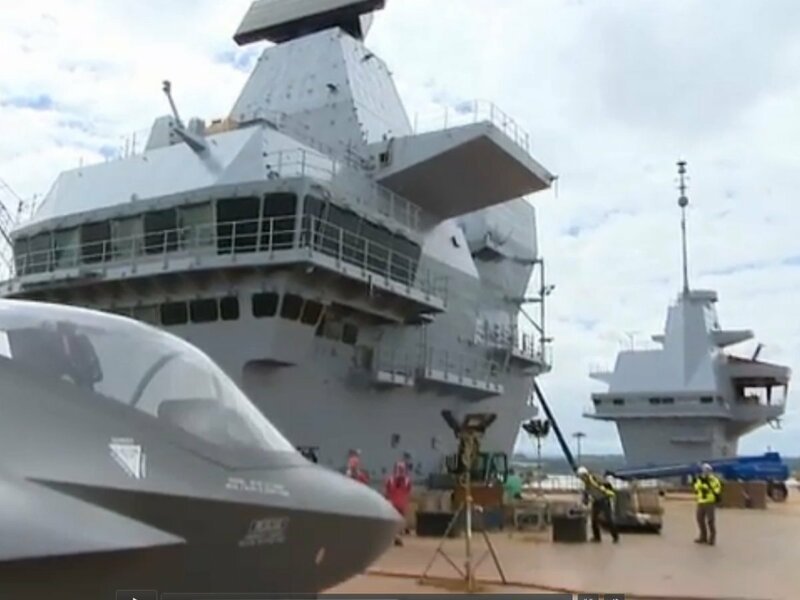 Beyond this, further funding has been deferred and it is expected that a decision on the future AEW aircraft, either a Merlin outfitted for AEW or potentially a VSTOL Osprey EV-22 AEW aircraft, will be determind regarding which platform will fill the AEW role after 2022. Many QE II Photos courtesy of Russ Laverick.